For over 25 years, ForensisGroup has provided the nation’s top law firms, insurance agencies, government entities and many other industries with highly qualified expert witnesses and consultants. Our success in placing experts in over 10,000 cases begins with our selective screening process. For our own internal quality control, experts referred by ForensisGroup have been thoroughly evaluated based on experience, education, track record, client feedback and much more. ForensisGroup is the expert of experts. ForensisGroup is chosen every day by attorneys, insurance professionals, & other private and public agencies because we have the strongest selection of premier forensic experts, consultants, and witnesses, as well as a stress-free expert witness selection and retention process. When you need the right expert to give you the technical advantage in your cases and the competitive edge that goes with it, call us. We have the expert for you. • Our experts have been hired in over 10,000 cases nationwide. • Over 8,000 clients have retained an expert from us. • We respond in 1 hour or less 99% of the time. 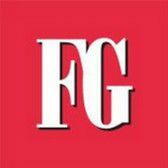 • You can cross examine thousands of experts with one phone call at ForensisGroup. a multi-disciplined approach with free initial consultations. Growing demand for our services and those offered by our expert witnesses and consultants drove the company to expand into the nearest metropolitan areas – San Diego, San Francisco, Sacramento, Las Vegas, Reno, Phoenix, Tucson, Portland, and Seattle. Today, clients in Arizona, Florida, Illinois, Nevada, New York, New Jersey, Texas, Washington, and throughout the U.S. turn to ForensisGroup because we offer the best forensic expert options and personalized, attentive service during the expert selection and retention process. ForensisGroup offers a select group of premier forensic experts, consultants, and expert witnesses to attorneys, insurance professionals, and public and private agencies. Our experts are available throughout the United States; many work internationally. ForensisGroup is dedicated to providing its clients the best expert selection in California, Nevada, Arizona, Florida, New York, Illinois, Texas and throughout the United States. We have 20 years experience referring a select group of premier forensic experts, consultants, expert witnesses and investigators to the legal and insurance industries, as well as, other private and public agencies. ForensisGroup consulting experts include engineers, physicians, insurance professionals, contractors, real estate agents / brokers, accountants, appraisers, economists, scientists, software developers, business executives and many others. If you are seeking an expert in a specific discipline, are unable to locate the expert who meets your individual requirements, or would like more information about a particular expert, please contact us. We will research and recruit additional experts, for your review, at no cost or obligation. Additionally, your initial case consultations with select expert witnesses, prior to retention, are free. ForensisGroup has internal quality control standards to which it rigorously adheres concerning verification of experts’ professional and educational standing, as well as, disciplinary history. It is our goal to offer experts known for their honesty, knowledge, reliability, professionalism, and demeanor. However, what we rely on most are the opinions of our clients. After each job, client opinions are solicited regarding the expert’s performance and abilities. We will not refer experts with whom our clients are unsatisfied. Any referral by the company is an opinion only and is not to be solely relied upon as to the qualifications of an expert. It is the client’s responsibility to thoroughly qualify their expert of choice. ForensisGroup accepts no responsibility and assumes no liability for any expert information or work. Individual experts and consultants available with various academic, professional and technical backgrounds, accreditation and licenses such as PE, CIH, GC, CSP, REA, MD, SE, AIA, ASA, CPM, RN and PH.D to name a few. ForensisGroup experts have worked for attorneys, self-insured’s, insurance professionals, corporations, private and public agencies, private investigators, as well as, other experts as part of multidisciplinary expert investigative teams. ForensisGroup experts are current board members, chair presidents, editors in chief, advisory committee members as well as various other group members in numerous professional organizations representing a good spectrum of industries. ForensisGroup experience from experts goes beyond thousands of collective experienced hours, countless number of hours of experience due to extensive legal experience in regards to all disciplines in all industries. ForensisGroup experts are of the highest level of experience with countless number of hours dedicated to all disciplines in all industries. These experts are of the highest caliber due to the extensive selection process. At ForensisGroup, majority of our experts have authored books and technical publications in various industries, and have achieved numerous awards for outstanding commitment and overall satisfaction. ForensisGroup experts have the highest credentials in the industry when it comes to all disciplines such as Construction, Engineering, Medical, Scientific and Technical. These individual consultants have various academic backgrounds. Experts CV and references are available upon request.